A book that gives you insight on traumas, what causes them, what effects derives from trauma and how homeopathy can help to heal them. I’ve learned a lot from this book. Just to give you some examples: It stresses the fact that “Help should be requested”, something that most people who are willing to help others oversee frequently and then they make the mistake to become a “rescuer”. A very important point to remember for the healer. And another example, Chappell writes “Each relationship is doomed to failure as their instinct is to keep secrets”. That’s one reason why many relationships break if the trauma persist and continue to exhibit it’s influence on the person. Arnica is mentioned as the trauma remedy per excellence, but he lists other remedies for making you aware how they cure different kinds of traumas and how traumas can manifest. 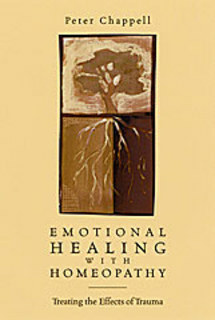 The book is not a Materia Medica of trauma remedies, because it’s main part is on trauma theory. 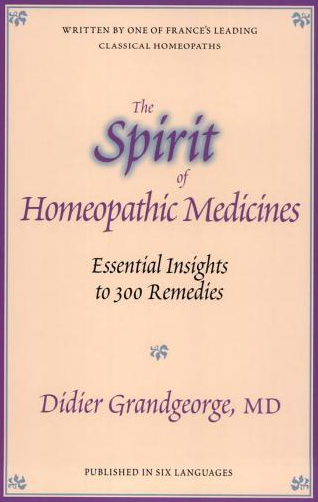 Essential Insights to 300 Remedies, written by Didier Grandgeorge, MD. Grandgeorge’s book lists big and smaller remedies. His “essential insights” are similar to key-notes, but not just a list of them as in the Synoptic Keys of Boger, because he helps you to understand how this main symptoms and particular symptoms relate to each other. A small but valuable book for every practitioner.